DAREDEVIL: Will Matt Murdock Appear on Marvel's Jessica Jones? A report surfaced yesterday saying the upcoming Netflix Original Series Marvel's Jessica Jones will have a visit from Daredevil (Charlie Cox). 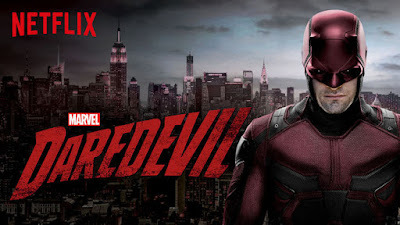 As of today (10-30-15) Marvel hasn't confirmed any details about the crossover of its Netflix shows, however we do know that eventually they'll join forces.